Microbrewed Adventuress: A Lupulin Filled Journey to the Heart and Flavor of the World's Great Craft Beers is a combination travel log - homebrew recipe book. It covers the many beer related adventures that being the father of American homebrewing and the president of the AHA/BA has allowed Charlie Papazian to have over the years. Each of the stories has a corresponding recipe, many of which are clones or at least inspired by the interesting beers that he has gotten to sample all over the world. Content: Each chapter covers a beer trip, or the stories of a group of like-minded brewers. Roughly the first half of the book covers America, while the second half explores the rest of the world. I really enjoyed his story early on about Anheuser Busch's request that he brew them some homebrew (which they attempted to can with limited success) for a meeting of the Master Brewers Association. It is interesting to hear that Bud was even aware of homebrewing in 1983, let alone interested in trying what American homebrewers were creating. For the sections on the various breweries the focus is on the people and the history, not on the brewing technique/ingredients etc... 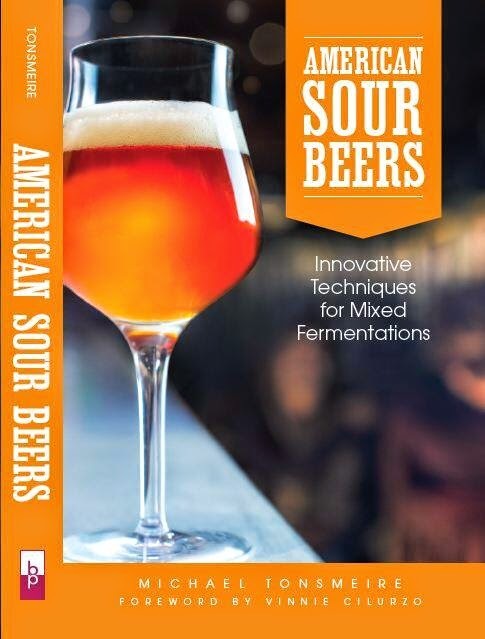 I would have liked to see more of this stuff, because lets face it I'm a nerd, but as it is this section would be good read for anyone who is just interested in beer not just homebrewers. There is some great back story on the pioneers of microbrewing for those of you late to the game (like me). The likes of Sam Adams, Anchor, Sierra Nevada, and Bert Grant. I thought the most interesting was the story of New Albion Brewing, a brewery that was there very early on, but didn't make the jump to major player like the others. For most of the breweries in this section there is an inset with a quick discussion and page number (all the recipes are together in the last section of the book) of a recipe for one of their beers or a beer inspired by an offering that Charlie got to try at some point. Papazian then moves on to the second wave of brewers with stories about Stone, Rogue, New Glarus, Magic Hat, and Dogfish Head (among others). These stories were more familiar to me, but there are still some interesting side adventures and details along the way. All the time you get that great enthusiasm that all of his homebrew books were written with. With the American brewers out of the way the focus shifts to Europe. The first section covers the start of the new wave of craft beer in England. From there he moves onto Mead, one of the more inspiring sections with discussions of getting to meet the two elder statesmen of mead making Brother Adam and Lt. Colonel Robert Gayre. The next few chapters cover some of the historic brewing countries (Germany and Belgium), as well as some other countries that people might not associate with great beer (Sweden, France, and Italy). The breweries range from the iconic (De Dolle, Andesch) to the obscure (including homemade gotlandsdricke). These chapters are great as there is not nearly as much coverage of European brewers (especially the tiny ones) as there is for American brewers. The rest of the book covers beer from a wide range of the rest of the world, Latin American, Fiji, Africa, and Russian. These stories are interesting well in excess of what you learn about beer. Being an international ambassador to brewing for the last 20 years has given Papazian the opportunity to meet some very interesting people, and these chapters really do that justice. I really like the stories of his time in Africa, not that any of the beers I have tried from the continent have been that good (even the Guinness Foreign Export Stout). Recipes: Just like the content, the recipes run the gamut from well known craft beers to the indigenous "beers" of the pacific islands. The recipes are considerably better than in Charlie's other beers, no standard gypsum additions, and other no major issues that I can see (although I always hate to see the same 3/4 cup of priming sugar listed for virtually every beer). Taking into account all of the positives, I still do not appreciate that it is unclear which recipes came from the brewers and which he just whipped up after being inspired by a beer. When I post clone recipes here I try to make it clear which information I'm sure about and where I am guessing, that way people can make their own judgment. Each recipe comes as an all-grain and as an extract or partial mash variant depending on what grains are required. Accuracy: Most of the book is just stories, so it is hard to dispute the accuracy. I didn't note any major discrepancies or typos, which again is a major upgrade over some of his previous books. Readability: I like the way the recipes are all grouped together. It made it easier to just read through the the narrative portion without getting interrupted, and now I can just flip through the recipes if that is all I want to do. The writing style is fun, and not too technical. I would have liked if the book lopped off some of the stuff on well known American Brewers, but I guess there are a lot of people out there who might not know the stories behind them. 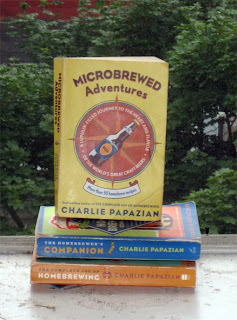 Overall: I think Microbrewed Adventures is well worth a read if you want to get an overview of brewing around the world. The recipes can be interesting, but I don't think the book is worth buying for them. The stories can provide plenty of inspiration even if you aren't going to brew one of the recipes he provides. I think this book really plays to Charlie Papzian's strengths as a writer and a brewer, and despite not being a big fan of his other books I fully enjoyed reading this one. That said this is not a book I would get if you don't already own most of the great ones available.